Our client came to us with an unexpected request. The time had come to update their benefits enrollment guide and they had received a cruise brochure in the mail that they loved. They really appreciated the light-hearted feel and bright colors it had. 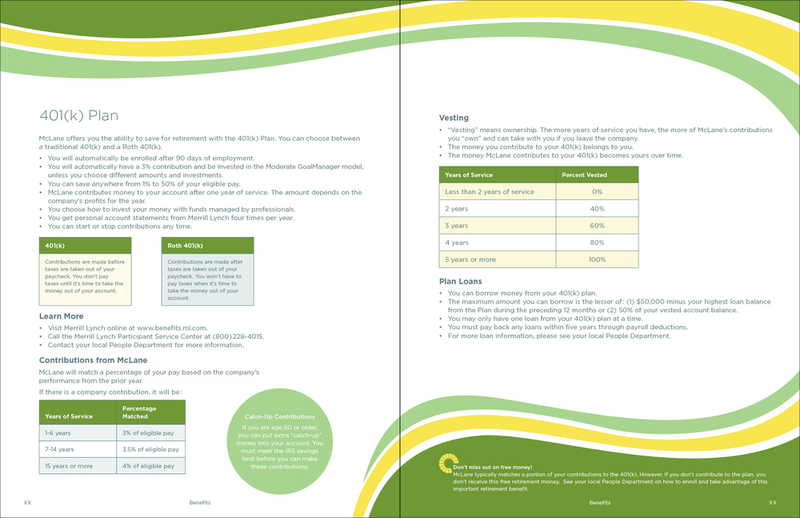 My task was to infuse their potentially boring enrollment guide with some of that same fun. The idea of reorganizing all of this important information in a way that was visually interesting and digestible became a challenge. This 40 page document gave me the opportunity to really push the boundaries with the brand-approved design elements while still providing important information in an interesting manner.